Fernanda Faria, a Portuguese national, is an independent consultant and programme associate at ECDPM, Maastricht. Her main areas of work are EU external relations, with a particular focus on Africa, EU integrated approaches to security and development, and donor policies for peacebuilding and statebuilding in fragile states. 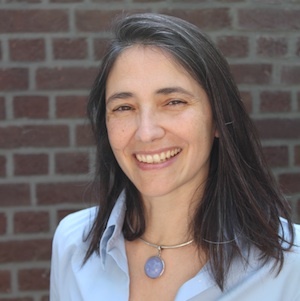 She has published on the ‘fragile states’ international debate and policies, namely for NOREF, and for the Portuguese Presidency of the EU in 2007 on adapting EU policy responses and tools to situations of fragility. She has conducted fieldwork, policy analysis and multi-stakeholder consultations in various African countries, including for the European Commission, the International Dialogue on peacebuilding and statebuilding, and the OECD-DAC International Network on Conflict and Fragility (INCAF). After taking her degree in International Relations at the Universidade do Minho (UM) in Portugal, she worked as research fellow at the IEEI (Institute for Strategic and International Studies), a think tank in Lisbon, on EU-Maghreb relations, and conducted political and security analysis of Maghreb countries. She was a visiting fellow at the EU Institute for Security Studies in Paris, and later published with the ISS on the EU’s role in crisis management in Africa. Prior to becoming an independent consultant, she worked at ECDPM on EU development cooperation and relations with the ACP. She has been a Member of the Co-ordination Team of the Europe-Africa Policy Research Network (EARN) since 2008. Fernanda became an ECDPM programme associate in 2007. She has extensive experience as a policy analyst and researcher on EU external relations and EU development and security policies. Her main focus is on EU-Africa relations and the main thematic areas include: integrated approaches to security and development, linking relief and development, fragile states, non-state actors and donors role and coordination in peace building and state building contexts, crisis management, and EU external relations instruments. She has participated in evaluations of EU instruments, led studies and multi-stakeholders consultations for the European Commission and other European stakeholders on EU and donor security and development policies, with a focus mainly on Africa, but also in Latin America. She plays an important role in ECDPM’s relations with the centre’s institutional partner Portugal. Como é que a UE decide sobre questões pertinentes para a África?